Contains a list of grocery stores which was used by the city to calculate the estimates of Chicagoans living in food deserts in 2011. Data in this file can be cross-referenced with the city's business license data (http://bit.ly/sMFZdN). Contains a list of grocery stores which was used by the city to calculate the estimates of Chicagoans living in food deserts in 2013. Data in this file can be cross-referenced with the city's business license data (http://bit.ly/sMFZdN). A list of grocery stores which are part of a multi-store chain and are located at or within 1 mile of Chicago's city limits. In addition, this dataset contains additional information about the size and type of food offered by the grocery store. This dataset was provided to the City of Chicago by Chicago State University. Neighbor Capital is a social enterprise that runs a produce cart program that employs difficult to employ people who manage and operate a cart on a public sidewalk or private plaza across the city. The City of Chicago legalized this business model in 2012 with the requirement that half be set up in low-food access areas. Each cart carries a full line of fresh locally grown produce on an 8 feet by 6 foot stand generally between early morning and early evening hours. A list of independently owned- and operated grocery stores which are located at or within 1 mile of Chicago's city limits. In addition, this dataset contains additional information about the size and type of food offered by the grocery store. 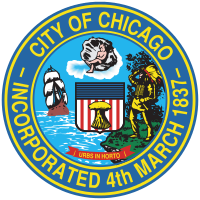 This dataset was provided to the City of Chicago by Chicago State University.